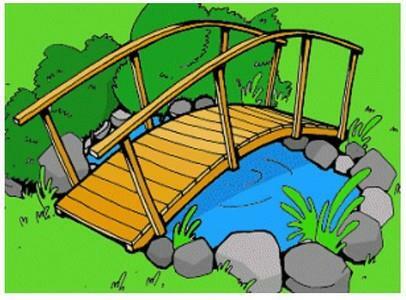 Build a wooden pond bridge or garden bridge with free plans below. Be sure the bridge plan below is actually made to be built over water and not just decorative, if that's your goal. 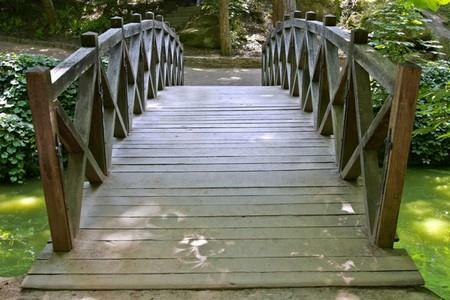 This homemade bridge leans towards the Asian design because of its shallow banks. 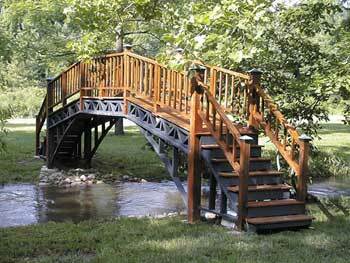 If you take your time and have modest woodworking skills you can easily build this type of bridge. 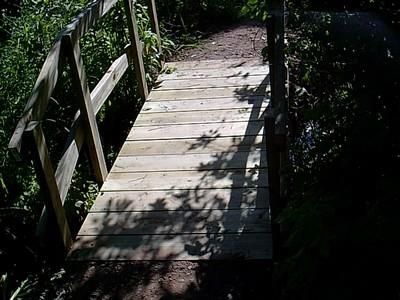 Build a simple foot bridge in one day, using common tools. If you are looking for a decorative, yet practical little garden bridge, this is the plan that will help you achieve that. 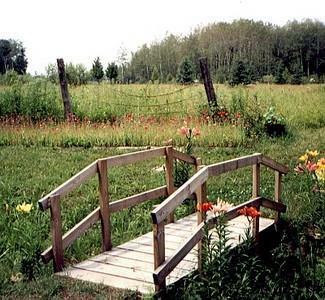 Follow these plans and you can easily build a bridge for your own garden. The only lumber stock sizes used in this project are 100x25 and 100x40.